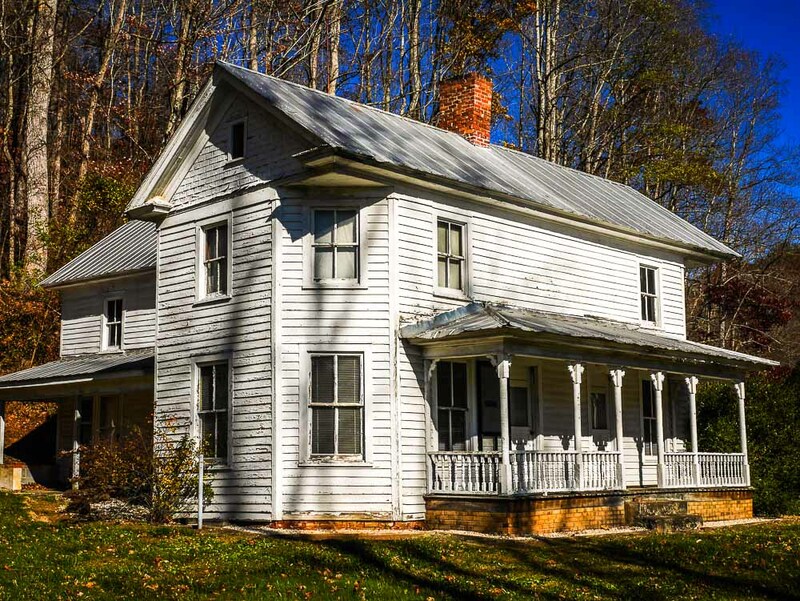 As I drive along winding roads in SW Virginia I often pass by interesting old homes which are now vacant. Some are in bad shape, others not so bad. The photos I made of one such house below fall into the “not so bad” category. In fact, it was interesting and inviting in a way: for example,as I wandered about the outside I expected some person to pop their head out the door and ask what it was I was doing there. 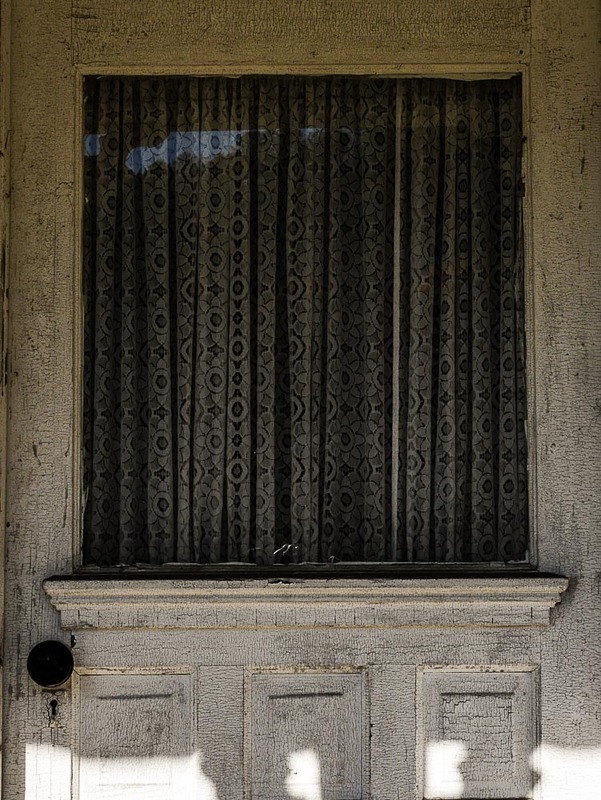 The lacy curtains on the front door were sort of spooky, given that squinting eyes might be lingering inside in the shadows looking at this stranger standing on the porch. 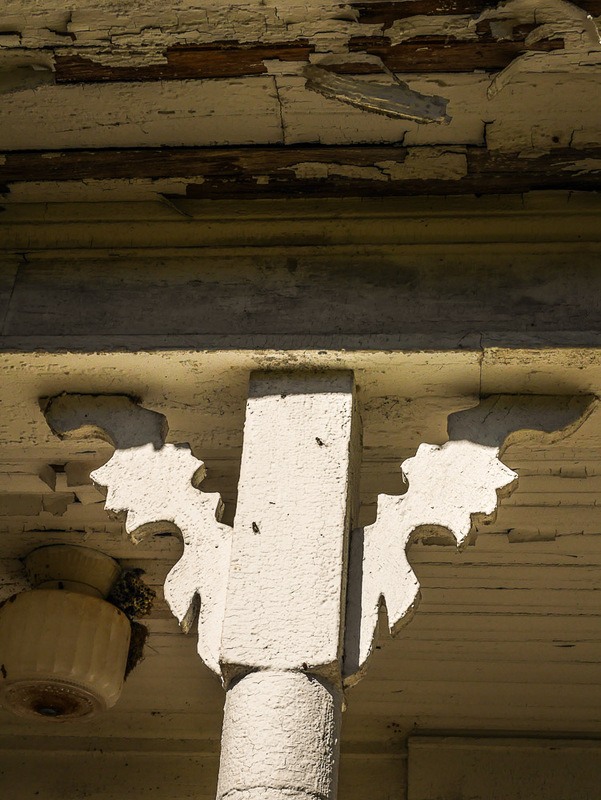 The wooden scroll work along the porch ceiling was also interesting, complete with peeling paint. Once again, my travels brought me to interesting photo opportunities. Thank you Lord! Reading the “Photo Issue” of National Geographic, and learned that they hired photographer that knew how to tell the story with images. You could be a photographer for the National Geographic’s.